Proceeds from our benefit concert, All Dolled Up, at The Triad were donated to the Children's Aid Society. In August 2017, KOTA returned to the Tony-Awad winning Off-Broadway Signature Theatre on 42nd Street to present ANNIE WARBUCKS. 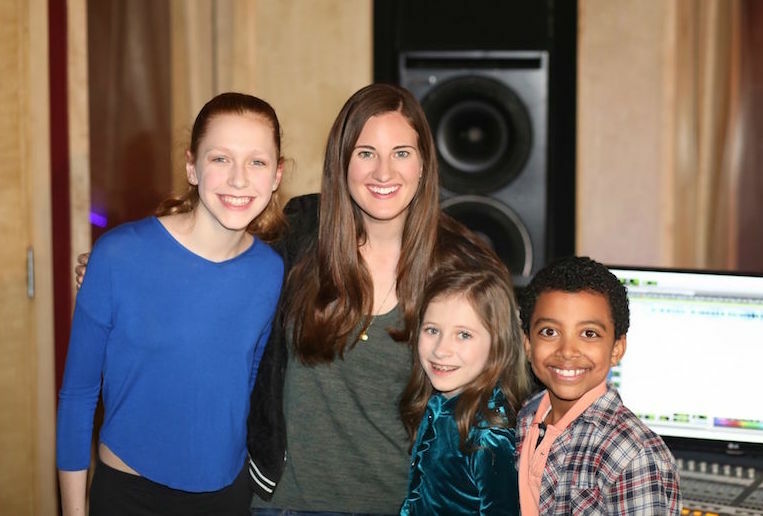 The cast was led by Iris Davies (The Sound of Music) and Aviva Winick (Matilda) as Annie, with Todd Berkich (Annie National Tour) as Olivier Warbucks. There were a dozen adult actors, and 40+ young actors playing the Orphans in alternating casts. In December 2017, KOTA presented the World Premiere of Dance Divas Nutcracker at Theatre Row. The musical was created by an all-female creative team, incluidng Sheryl Berk (Book), Rachel Griffin (Music) and Danielle Trzcinski (Lyrics). The cast was led by Elliana Walmsley ("Dance Moms") and Clara Young (The Grinch), as well as over 30 of the top dancers and performers from across the country. After a sold-out run in 2016, Madeline's Christmas returned to Theatre Row for its 2nd year! Leading the cast was Sami Bray (Broadway's 1984) and Vivi Howard as Madeline. Macy Idzakovich as Miss Clavel, Lisha McKoy as Mrs. Murphy and Graham Shadow Boxer as Harsha. Dance Divas Nutcracker recorded a cast album, and is now available on all digital platforms for purchase including iTunes and Amazon Music! KOTA created Lyrics for Life in 2014, to bring support and awareness to the American Foundation for Suicide Prevention. In September 2017, we created an original recording and music video to Pasek & Paul's "You Will Be Found" (Dear Evan Hansen). The video featured over 140 young performers, including some of the industries top talent. The video has reached over 100K views through YouTube, the Dear Evan Hansen Facebook and social media. Proceeds raised were donated to the AFSP.